A Sparkling floral fragrance with a top notch of Raspberry Sorbet & Blood Orange. The delicate floral heart blends Honeysuckle, Orange Blossom & Osman thus leading to a woody oriental dry down evoking heavenly scent of Cashmere Wood, Vanilla, Musk & hint of Amber. An intense and long-lasting fragrance that rejuvenates you from within. Just a single whiff of this scent keeps you fresh all day long. A sensual fragrance that exudes freshness and awakens your senses. Explore the entire range of Perfumes (EDT & EDP) available on Nykaa. 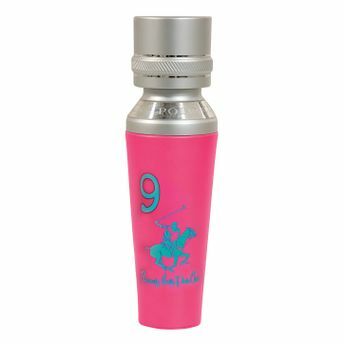 Shop more Beverly Hills Polo Club products here.You can browse through the complete world of Beverly Hills Polo Club Perfumes (EDT & EDP) .Alternatively, you can also find many more products from the Beverly Hills Polo Club 9 Women Eau De Parfum range.